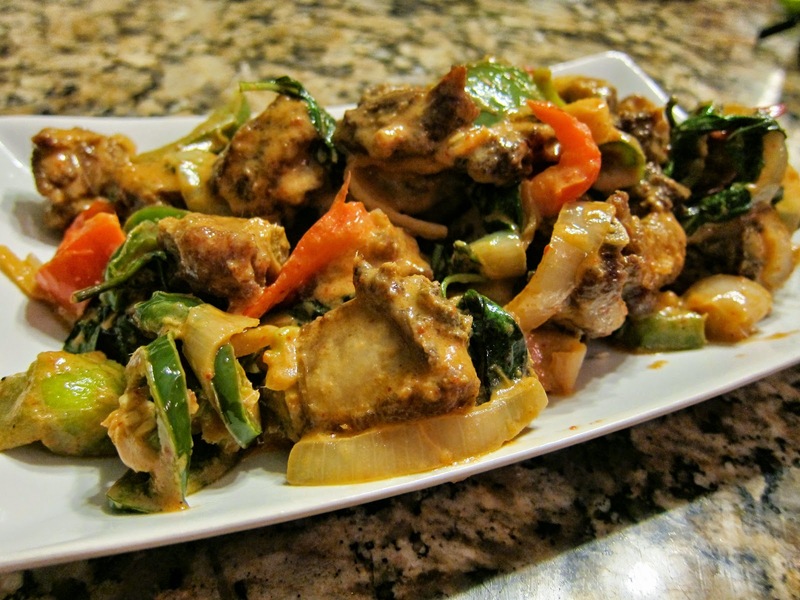 This is a "No Brain-er" red curry recipe. 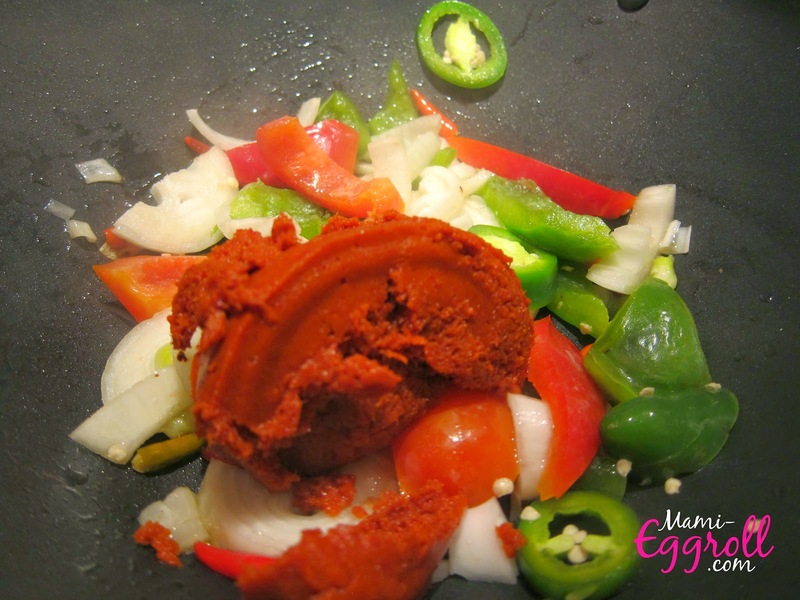 Sure you can make the curry paste from scratch but with the busy lives we all have, who has time for that? Do yourself a favor and pick up a can of red curry paste. 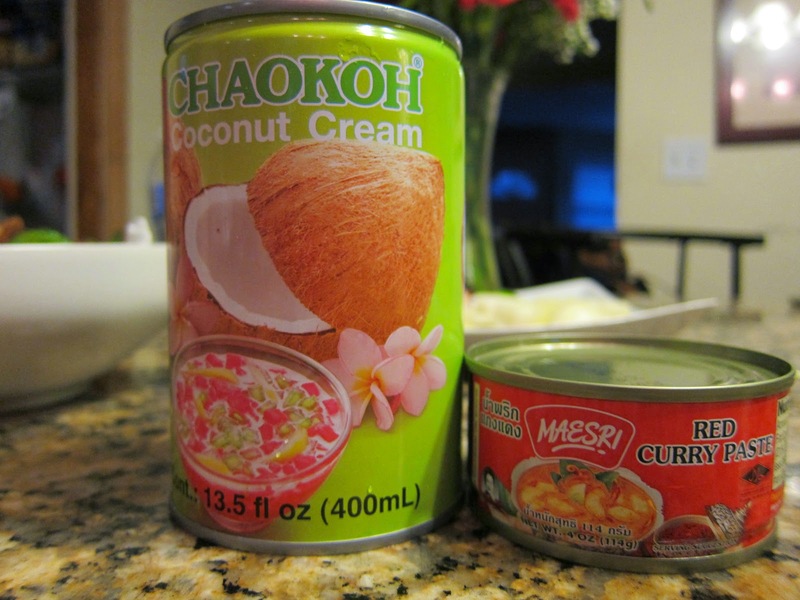 Only the true foodies or Thai's can tell the difference. The hardest part is finding the ingredients (if you don't already live near an Asian store); I'm confident that you can find the canned goods in the international food aisle at your local Market Basket, Hannafords, Shaws or Stop and Shop. 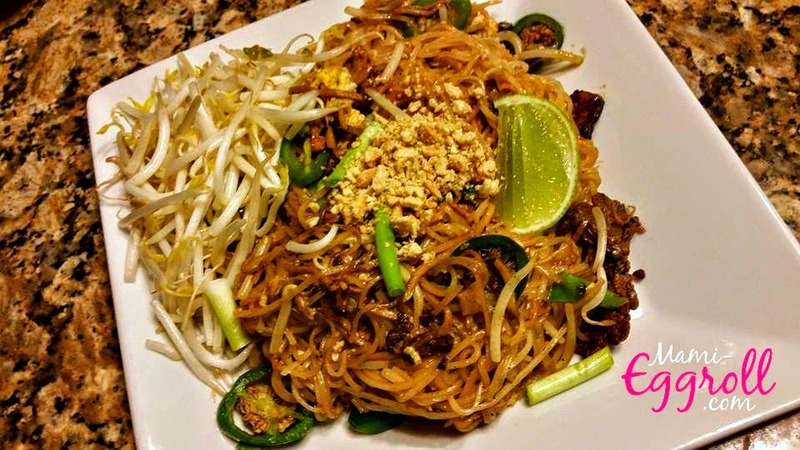 We were craving Thai food so I made Phad Thai earlier this week with beef, shrimp and jalapenos. The Phad Thai was tasty but that didn't suffice so I decided to make Thai red curry tonight. 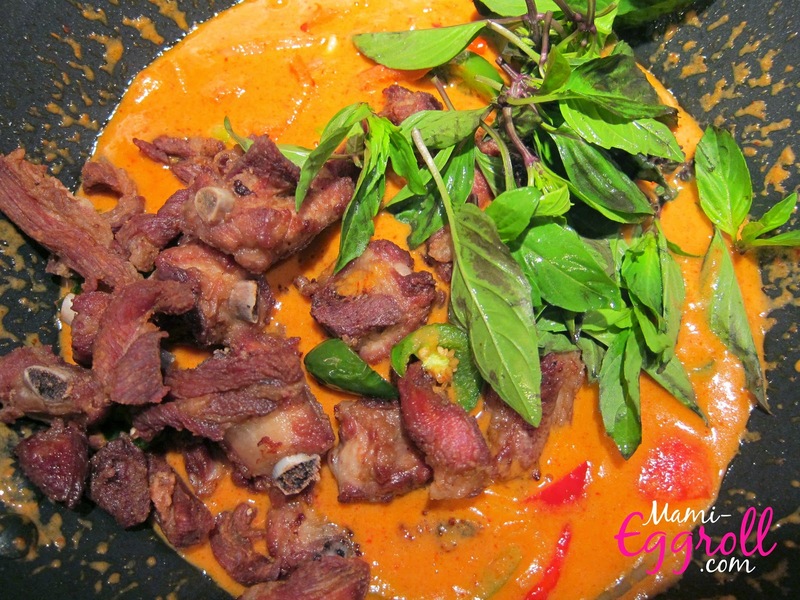 The Mo likes crispy pork so that is the route I took but you can use any meat, seafood or vegetable dish you prefer. Depending on which meat or vegetable choice you use, prep the protein or vegetable source to your liking. 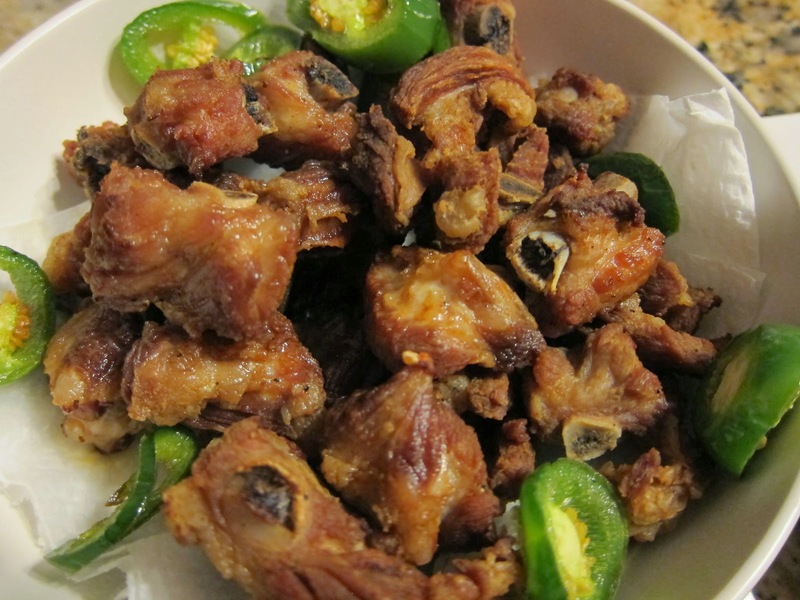 The Mo likes crispy ribs so I chopped up the pork spare ribs into bite size portions and deep fried it on HIGH heat. Remove from oil and set aside on a paper towel. Cut the vegetables into long 1/2 inch strips. Turn the temperature on high heat. 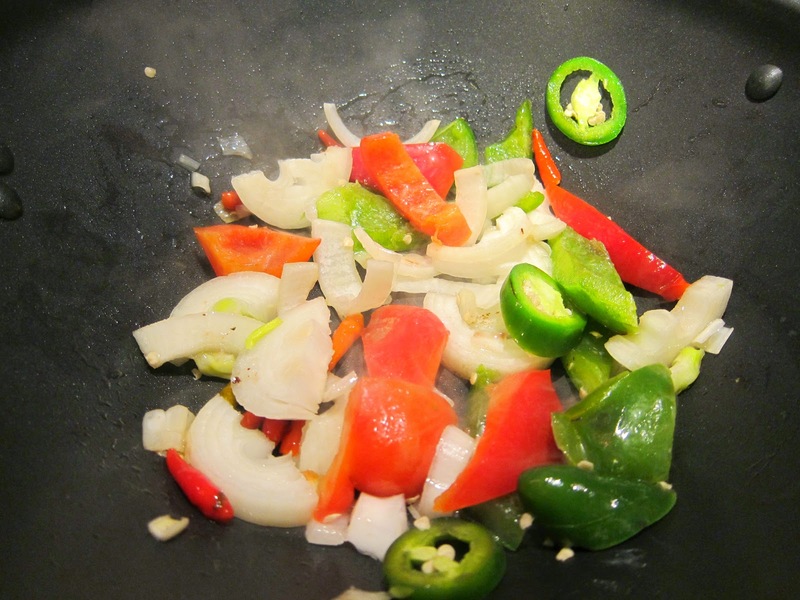 In a medium pan or wok, spray cooking oil to the bottom of the cookware. 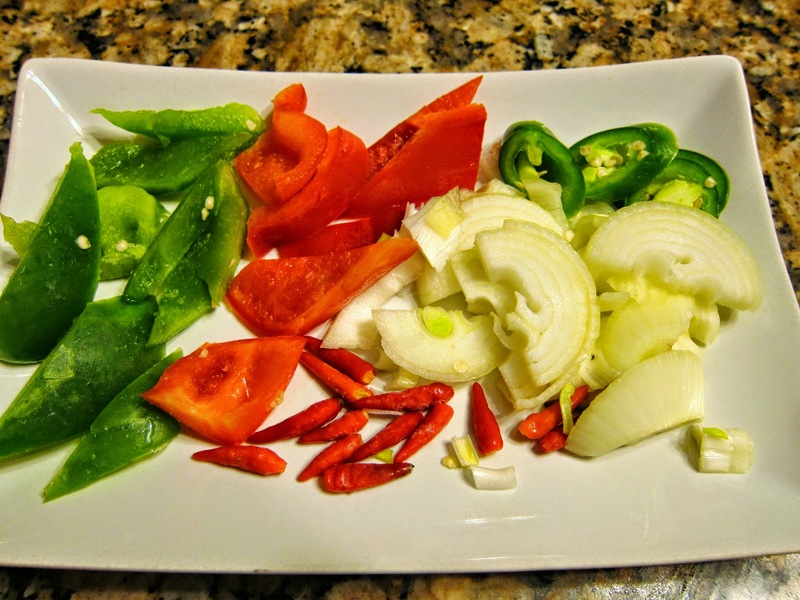 Add the cut up vegetables to release the flavor. Do not overcook the vegetables but just lightly pan fry it. After a minute or two, add the red curry paste and coconut cream/milk. You can also add the optional 1 tablespoon of sugar. Add the meat, seafood, tofu or additional vegetables and bring to a boil. Turn off the heat and add the Thai red basil. Voila! The dish is ready to be served with white jasmine rice or in my case, I used wild brown rice. 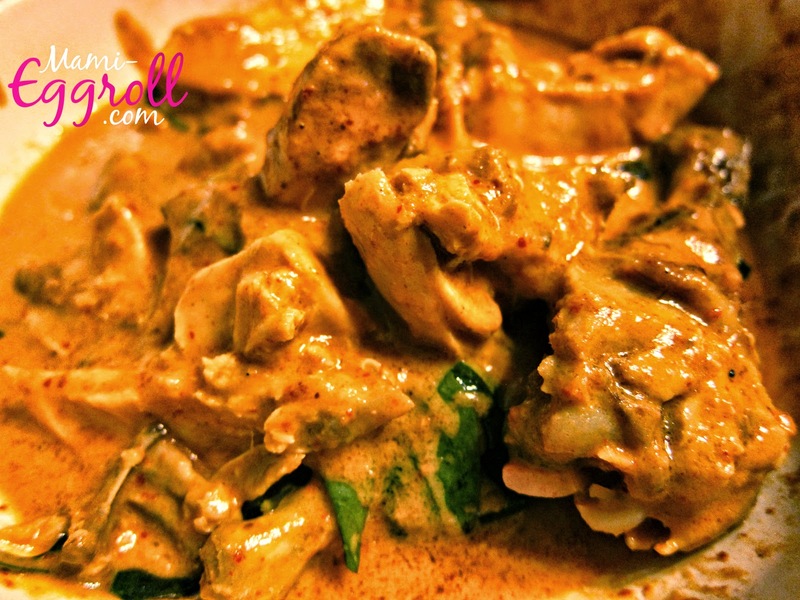 Since the coconut milk ratio to the curry paste is much more higher, you can opt to use less coconut milk. I like the extra sauce so I can make another dish for another meal. 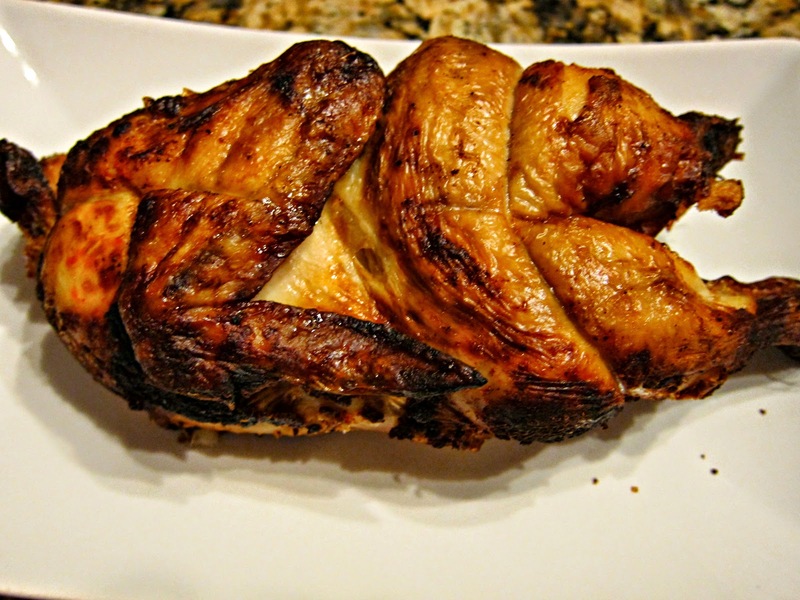 We had leftover rotisserie chicken from Market Basket from dinner earlier in the week. I warmed it up in my counter top oven, cut it up and threw it in the curry. Chicken curry for another meal.